An estimated 35 million people in the United States are missing all of their teeth on at least one jaw. Your situation may not be as serious — perhaps you've only lost one tooth. But even one missing tooth could eventually impact the health of underlying bone or other teeth — and it can certainly mar an otherwise attractive smile. 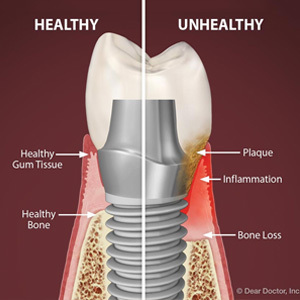 Depending on other health factors, you could be an ideal candidate for a dental implant to replace that missing tooth. 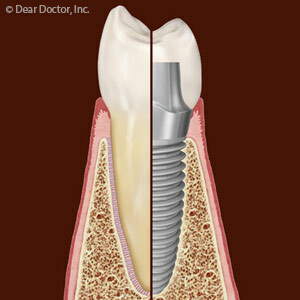 Since their introduction in the 1980s, implants have rapidly become the popular choice for tooth replacement. They've gained this popularity for several reasons: they're a life-like replacement that also functions like a tooth; they're adaptable to a variety of situations; and they enjoy a 95%-plus success rate. The key to their success lies in their unique construction: they replace the tooth root, not just the crown. They accomplish this through a metal titanium post imbedded directly into the bone. The titanium attracts bone cells, which eventually grow and adhere to the post to anchor the implant securely in the jaw. This growth also deters bone loss that occurs after tooth loss and continues after acquiring other forms of removable restorations like full or partial dentures. 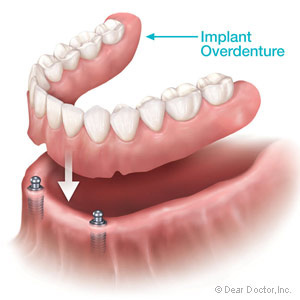 If implants have one drawback, though, it's their cost, especially if you have multiple lost teeth. The good news if you're missing several teeth is that each tooth does not need an implant due to their inherent strength. As few as two implants could replace three to four missing teeth or play a role as supports for other restorations like removable dentures. Some of the implants' other benefits will also carry over, including enhanced bone health. To determine if dental implants are a good choice for your missing teeth, you'll need to undergo an evaluation of your individual dental condition (including bone health). 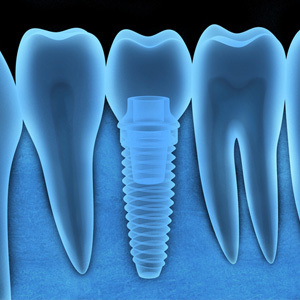 From there we can advise you on whether implants could change your dental health and your smile.